California's Coast Ranges hide some real gems (literally: check out benitoite, for instance). 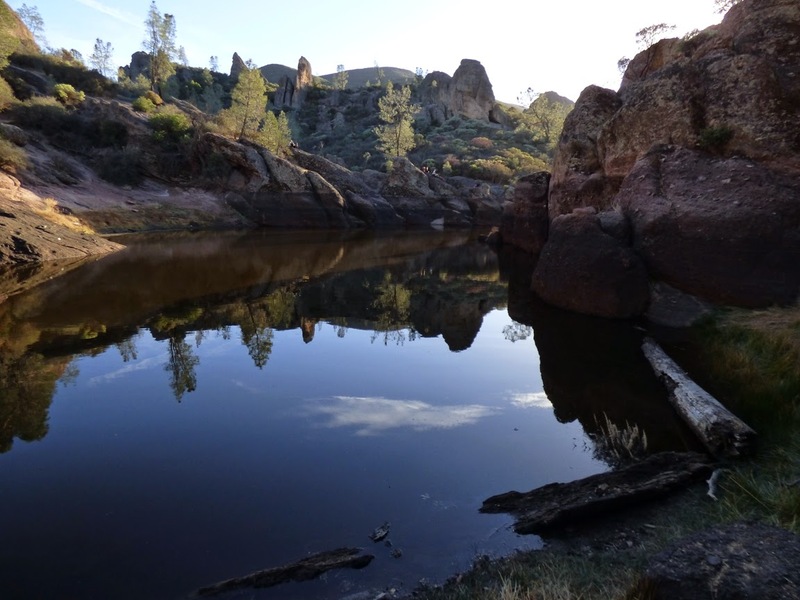 One of my favorites is also the nation's newest national park: Pinnacles National Park. The park was first established as a national monument by Teddy Roosevelt in 1908, and given national park status in 2013. The park preserves the spire-like remains of a rhyolitic stratovolcano that erupted around 23 million years ago. Long after the monument was established, geologists discovered an additional reason the region deserved park status: half of the volcano is in Southern California, 195 miles away! It turns out the volcano erupted on the San Andreas fault, and has been moving northward at the stunning (!) rate of about 2 inches per year. 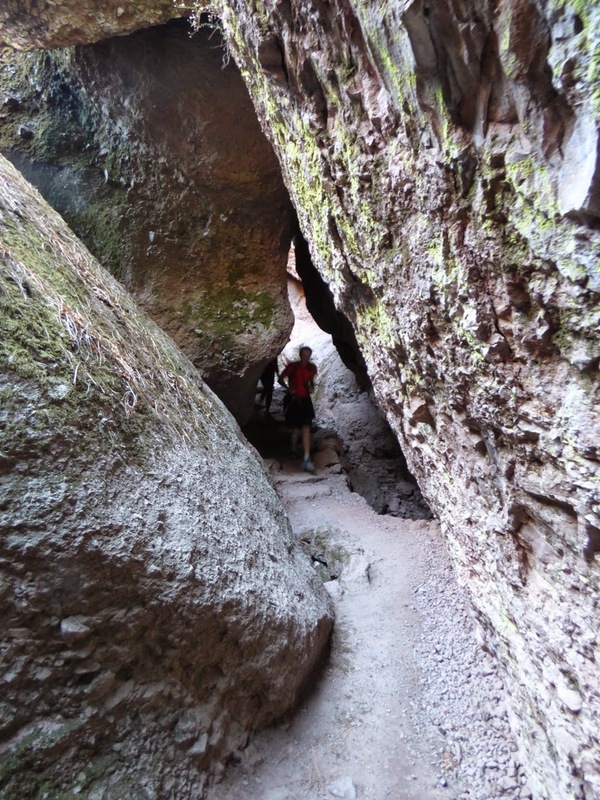 Today's post is a brief introduction to one of the more surprising features of the park: caves. We often think of caves as being composed of limestone or marble, and containing all kinds of stalactites and stalagmites. These aren't anything like that at all. A sense of scale? The blue thing near the middle of the photo is a person! 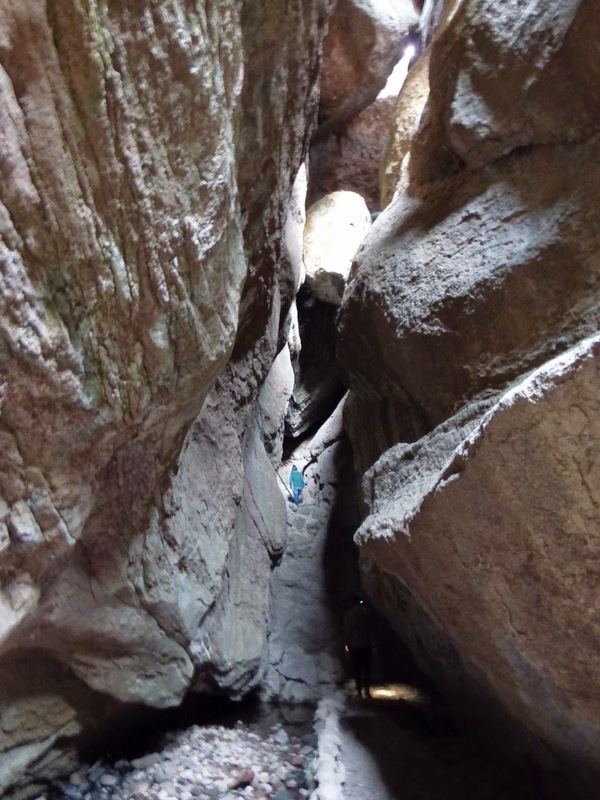 As the relentless forces of erosion tore away at the jointed rocks, deep slot canyons were carved in a number of places. 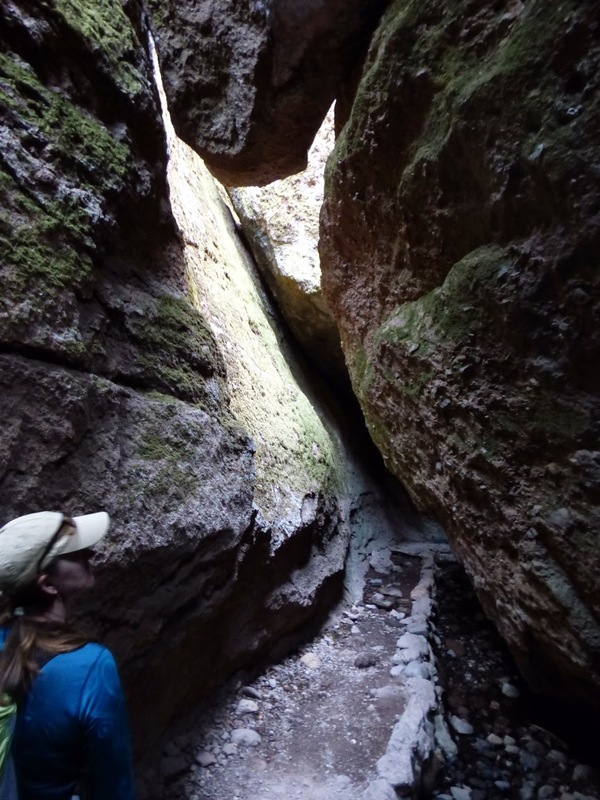 Layered volcanic rock and ash layers sloped towards the slot canyons, and gigantic boulders slid into the gorges covering them to the extent that caves can be followed in near total darkness for upwards of a quarter mile. 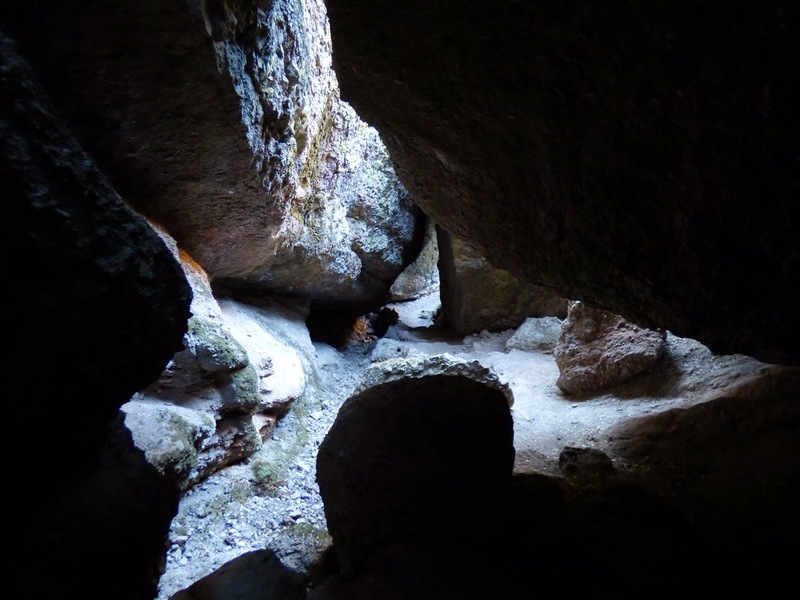 The Civilian Conservation Corps built a stone pathway through the caves in the 1930s, giving any Tolkien aficionados a feeling of Shelob's lair, or maybe of entering into the mines of Moria. 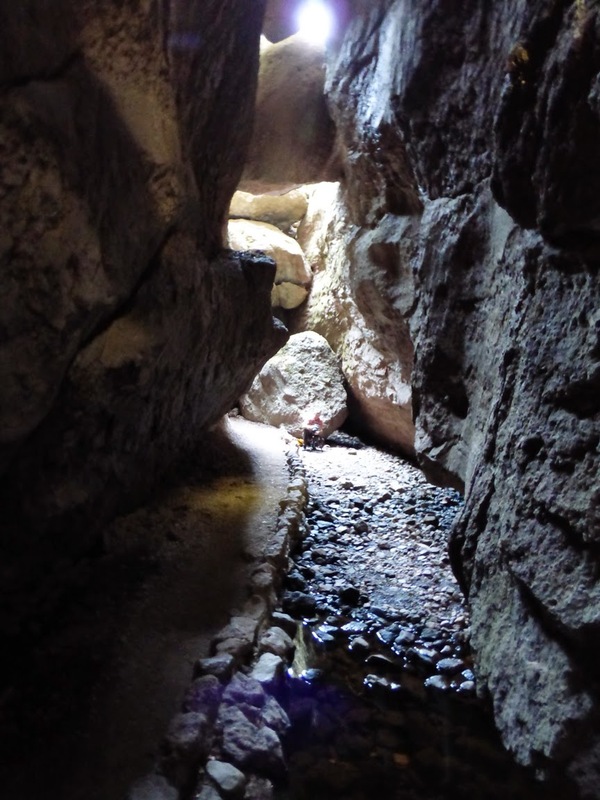 A small creek flows through Bear Gulch Cave, and there are even a few small waterfalls in the darkness. I'm not entirely sure, but I think I saw a natural bridge or arch in the depths of the caves as well (above). 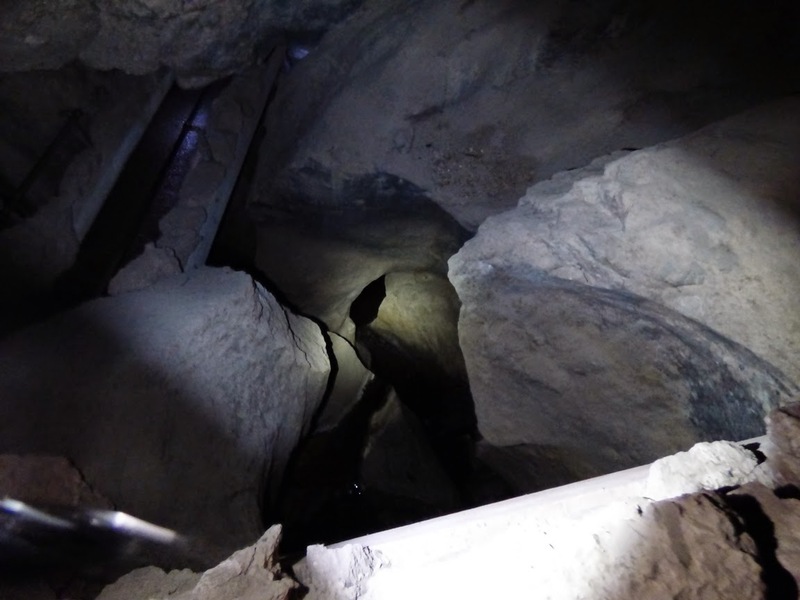 Some parts of the caves are subject to seasonal closures because they are home to a breeding colony of Townsend's Big-eared Bats, but the lower cave was open when we visited last week.